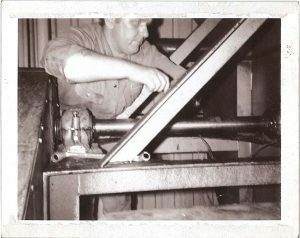 BarkerBille’s history goes way back – all the way back to when Barker Jørgensen founded his company in 1919. 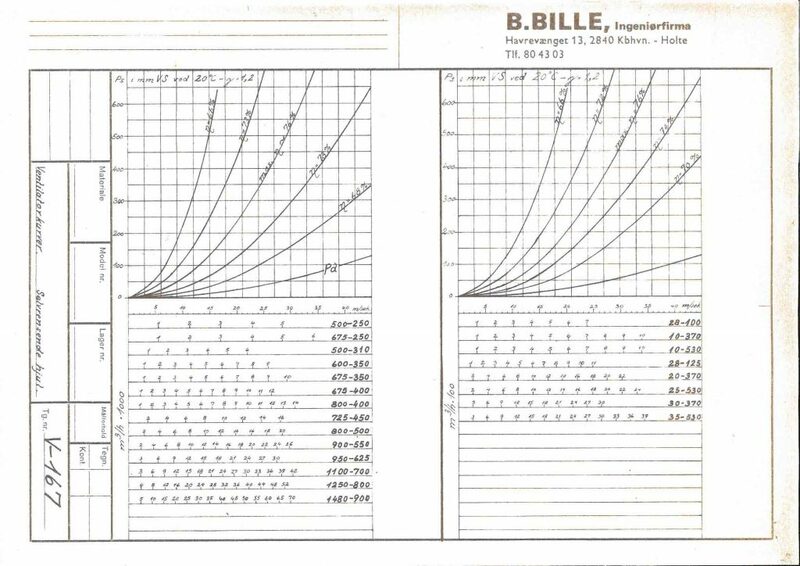 Some time after that, B. Bille was founded in 1964. As the timeline below also shows, Barker and Bille have been business partners for many years, dating back to a long time before the two companies were merged in 2016, January 1st. Barker Jørgensen is founded in Herlev near Copenhagen in Denmark as a manufacturer of farming tools. 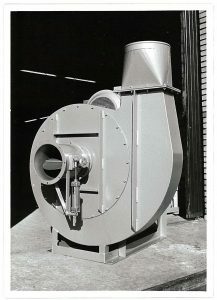 The first industrial fans are designed. Gerhard Feldstedt, who has been working at the company since 1946, takes over after the passing of founder Barker Jørgensen. Jørgen Hansens Maskinfabrik is founded by Mary and Jørgen Hansen. Gustav Feldstedt and Gerhard’s other sons join the company. 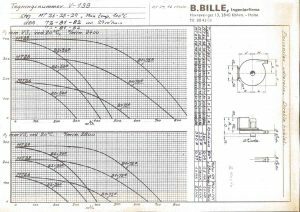 B. Bille is founded by Bent Bille as a company designing and manufacturing cyclones and industrial ventilation. B. Bille and Barker Jørgensens Maskinfabrik start to cooperate on the development and production of fans. Bent Bille handles mainly the engineering while Barker Jørgensen manufactures. Bent Bille buys a small factory in Farum near Copenhagen. The company expands as he is now able to manufacture prototypes of the fans himself. He was driven by his passion to design, dimension and draw the fans. Gerhard Feldstedt’s sons take over, and Gustav Feldstedt is given charge of the company. Jørgen Hansen Maskinfabrik A/S starts to sell fans as a separate business area with their own range of fans designed in-house. The idea for a new fan type (HN – high efficiency) emerges. This new type has a huge impact on B. Bille and Barker Jørgensen, as an efficiency of 92 % can be accomplished which is still the highest efficiency on the market. 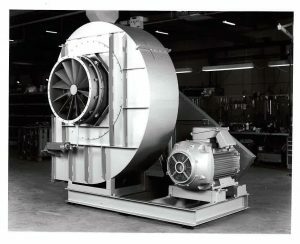 The highly efficient HN type is developed in more than 50 models with air flow ranging from 10,000-220,000 m3/h, and it quickly becomes the preferred choice for the marine and food industries. Bent Bille’s son, Flemming Bille, joins the company, and in 1995 the company is handed over to him. Jørgen Hansen Maskinfabrik A/S takes over Moldow Systems A/S, and JHM-Moldow A/S is founded. Barker Jørgensens Maskinfabrik is acquired by Kleinberg Holding. The company name is changed to Moldow A/S. All 100 fan models are redesigned, and the 3D based constructions are developed. Barker Jørgensen files for bankruptcy, and the company’s activities are acquired by Moldow A/S. The company continues as Barker Fans A/S. B. Bille is also acquired by Moldow in September. BarkerBille A/S is founded after a merger between Barker Fans A/S and B. Bille A/S. BarkerBille founds a Chinese company and hires employees in Ningbo, China. 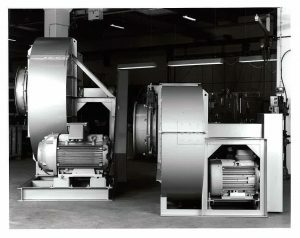 Moldow’s fan department is merged with BarkerBille A/S which is a sister company of Moldow A/S. As of October 1st 2016, BarkerBille A/S is the sole distributor of all Barker, Bille and Moldow fans.